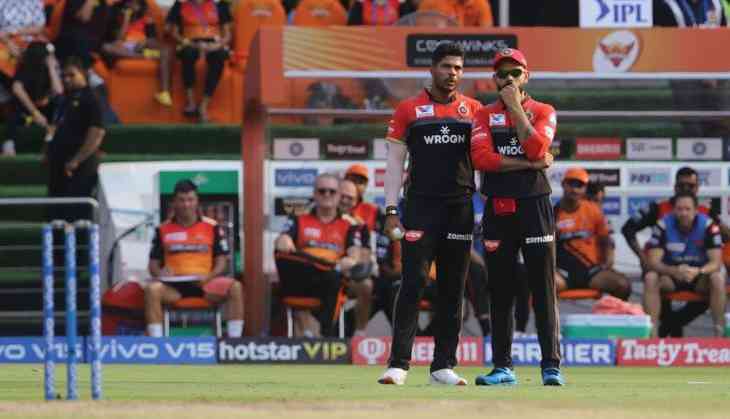 Virat Kohli and Royal Challengers Bangalore were heavily criticised after their humiliating loss against Sunrisers Hyderabad. Kohli and his men were defeated by 118 runs as they were all-out after putting 113 runs on board. Jonny Bairstow alone made 114 runs, which was one run more than the entire RCB team. After RCB’s embarrassing defeat at the hands of SRH, fans’ patience with Virat Kohli and the team seems to be wearing out. This match is like " Hulk Smashing Loki "
Royal Challengers Bangalore will be hoping for a change in fortunes quickly. Virat Kohli and his team will next be seen in action on Tuesday when they pay Rajasthan Royals a visit at the Sawai Mansingh Stadium in Jaipur. Both the teams have not won a single match in IPL 2019 and will look to win their first match.